My bird obsession has really hit an all time high. When driving the back roads, I will pull over every time I see birds, but when I see a whole field of birds I get extra excited. Today when I was driving home, I saw a bunch of people pulled over on the side of the road. To the right, there was a field completely full of snow geese and behind that, a field of daffodils in full bloom. In February, the daffodils started blooming and in March we've been experiencing spring weather and the promise of tulips on the way - which is all a bit out of character and much earlier than normal. 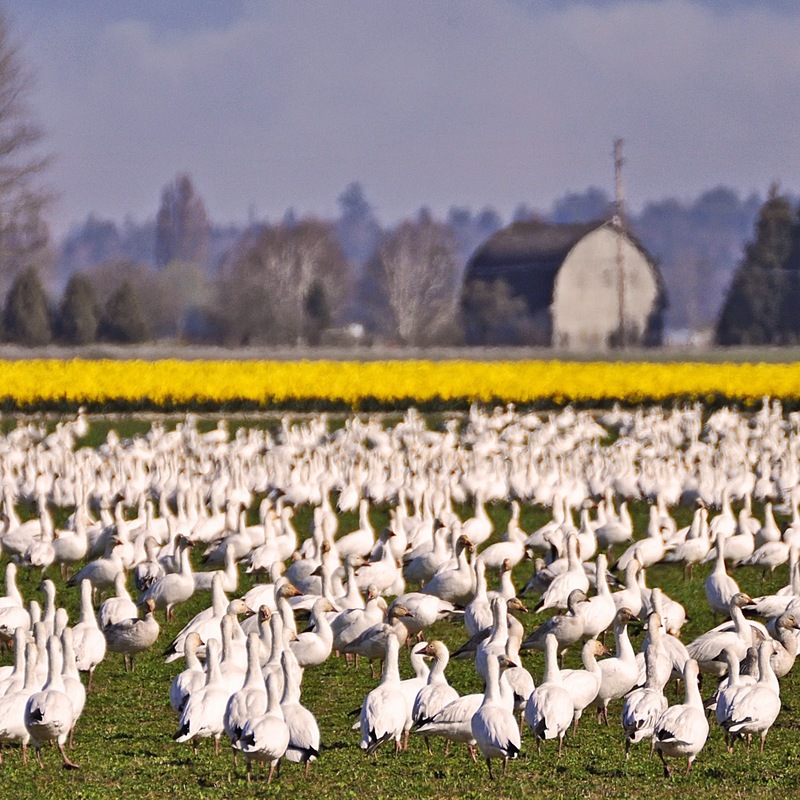 The snow geese and trumpeter swans have been around for awhile, but they are getting ready to leave soon and the blooming of the fields doesn't always cross over with the birds still being around. Seeing the moving blanket of white next to the solid blanket of yellow is reason to pause and soak in the splendor. I pulled over at just the right time and I was so grateful that I had my camera with me in the car. The sound was incredible and all of a sudden, the birds took flight. 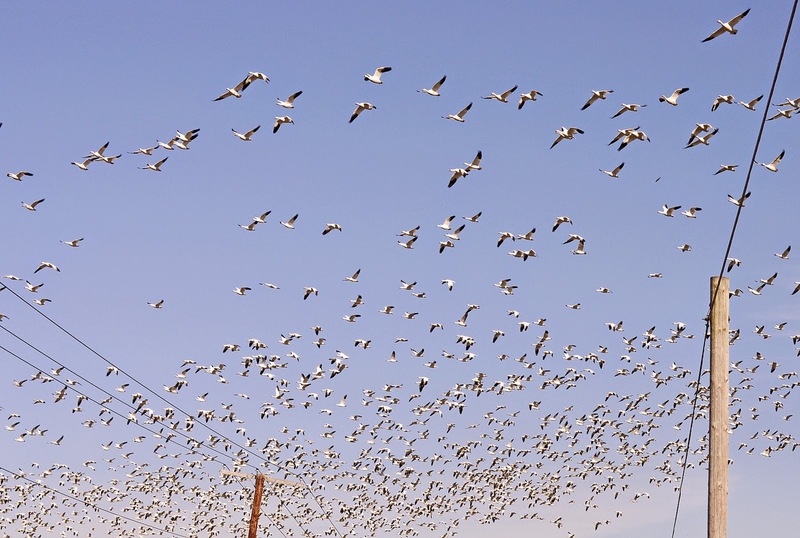 They were swirling overhead and honking, shimmering in the sun - TONS of them as far as the eye could see. I think one of the coolest things that I witnessed was all of the people in total awe on the side of the road looking up into the sky, and not down at their phones. Some had cameras because they had come out to the flats to see the daffodils but many were just watching. Afterwards, everyone got into their cars to drive away, all with smiles on their faces. 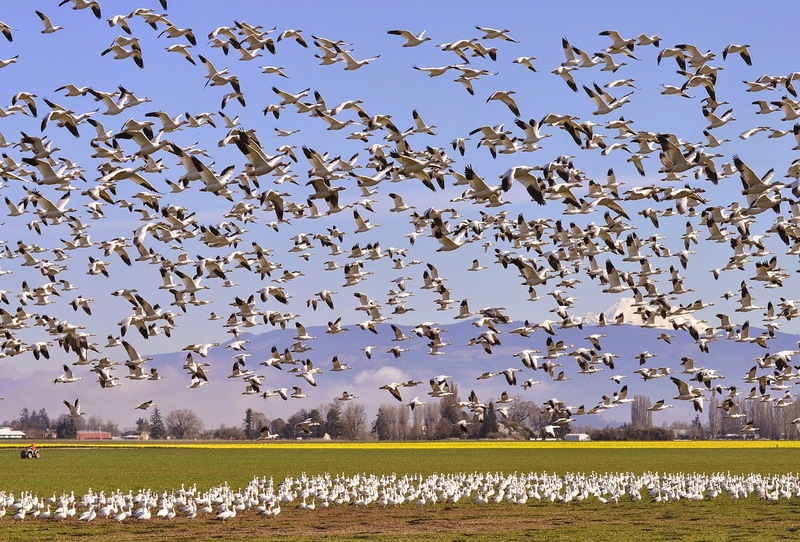 I found this little video of a the snow geese in Skagit Valley, filmed not too far from where I was today and I wanted share so you can sort of see/hear what I mean. I love how simple things like this can totally make my day. Nothing like the beginning of spring time to help put a pep in your step. 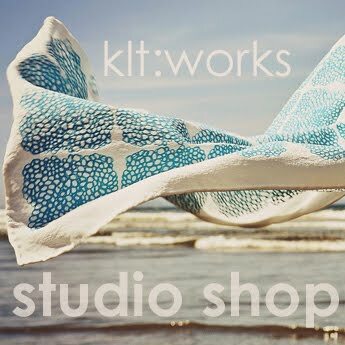 What makes you pull the car over or stop in your tracks?